As young as they are, my grandchildren already talk about memories they have of ‘Nanny’s house.’ My middle grandchild said to me recently, “When I was a baby, I came here, and I would sing.” It turns out this singing was Bob Marley’s song, ‘Three Little Birds.’ When my grandson was a toddler, I watched him several days throughout the week, we’d play Reggae and when our favorite, ‘Three Little Birds,’ filled the living room with its lilting notes, I’d pick him up and we’d dance together. He remembers these moments. I came to love Reggae music later in life. I’d definitely say ‘Three Little Birds’ is one of my favorite songs. I’ve said before in these posts, the wisdom in the song, echoes Jesus’ words in the Bible. Today I read an article with a little more proof that Reggae music will make you smile. Dogs prefer Reggae. Another Reggae group that fills me with joy is Christafari Band. The dreariness of winter can put a blight on your happiness…take a few moments to listen to some upbeat music and smile. That picture, the birds in the trees; is that a wall covering? I think I’ve seen it in my quest to find something suitable for the bathroom I’m renovating? I love it. And Bob Marley. Been listening to him for decades. Wish I had access to the pot that he does. I wouldn’t be worrying either. But let there be no mistake, Rastas are not Christians. Bob Marley wrote some peaceful songs, but they are based on something entirely different than the teachings of Christ. On the other hand, they paired well with my college days and all those hours of flower power. lol. You are blessed to have grandchildren. Your posts are so fun. The bird picture, I took it yesterday from my upstairs window. Funny, because today this post came to me after reading that dogs love Reggae. Please feel free to use the photograph for your bathroom. 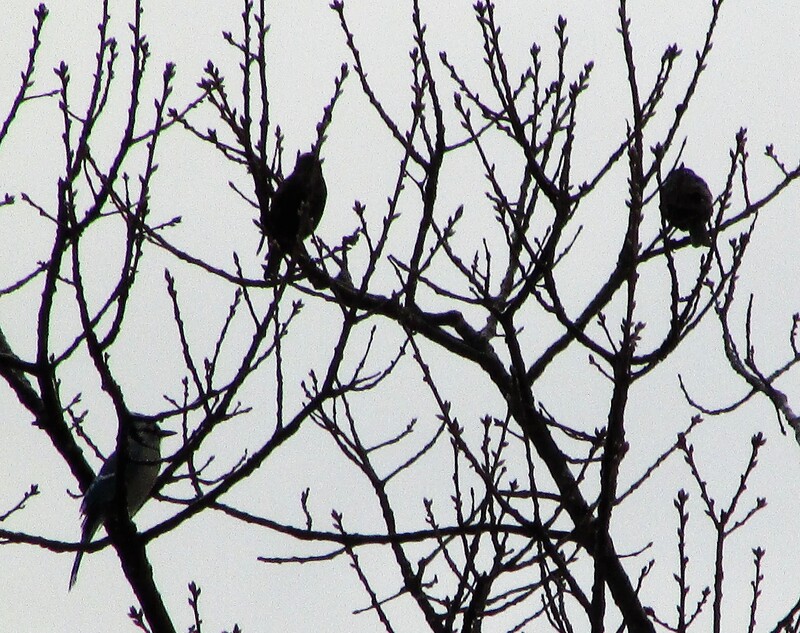 I’ll be glad to send you through email all the photos of the birds in the trees that I took yesterday. Thanks for the comment. Yes! Love Reggae! and Bob Marley is a fav. You are right, makes me smile every time! Thanks so much! Have a lovely day.